For details of the AGM please log in to the members section and access the minutes from the Association section. We started off the day by meeting up at Sifu Kerr's place to hold the AGM and other business before moving on to a hall close by. As always, we try to make the AGM useful in ways other than administrative. This year's meeting must hold the record for brevity. 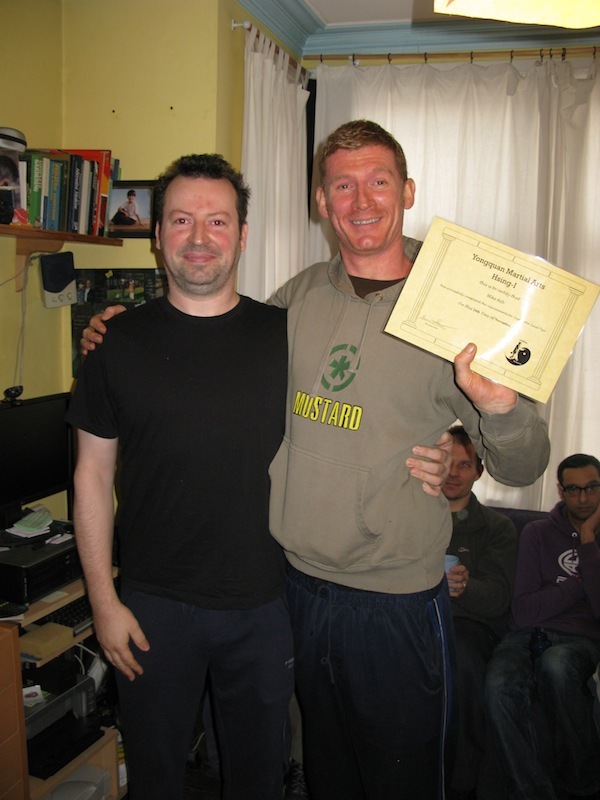 A special thanks must be made to Sifu Kerr for his hospitality, tea and other refreshments. Thanks also to Rosie for the cake! 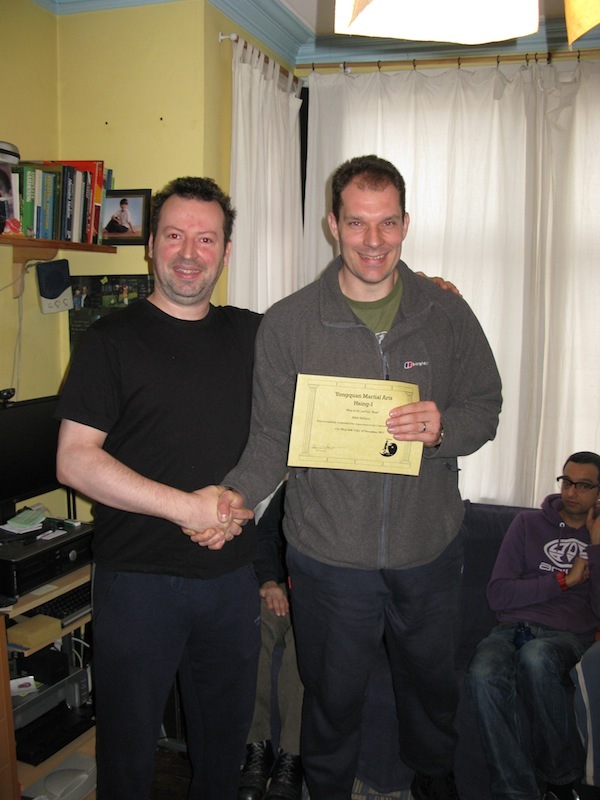 Sifu Kerr had arranged a quiz and started us off with a couple of sections on Martial Arts film trivia. Sifu Smith and I added sections on YMAA lineage, general knowledge and Martial Arts technique. The quiz provoked some discussion, thought and much merriment, as some of the answers were, er, imaginative. 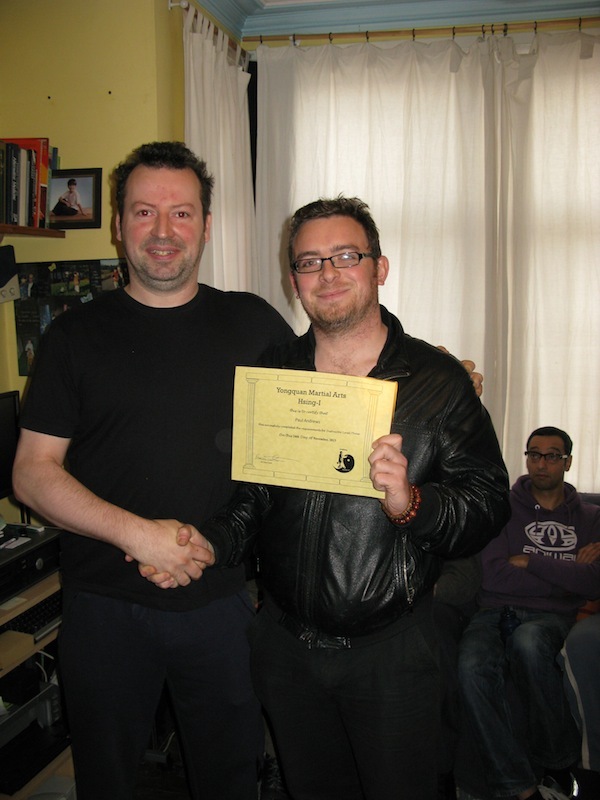 The winner, by a clear margin, was Paul Andrews. 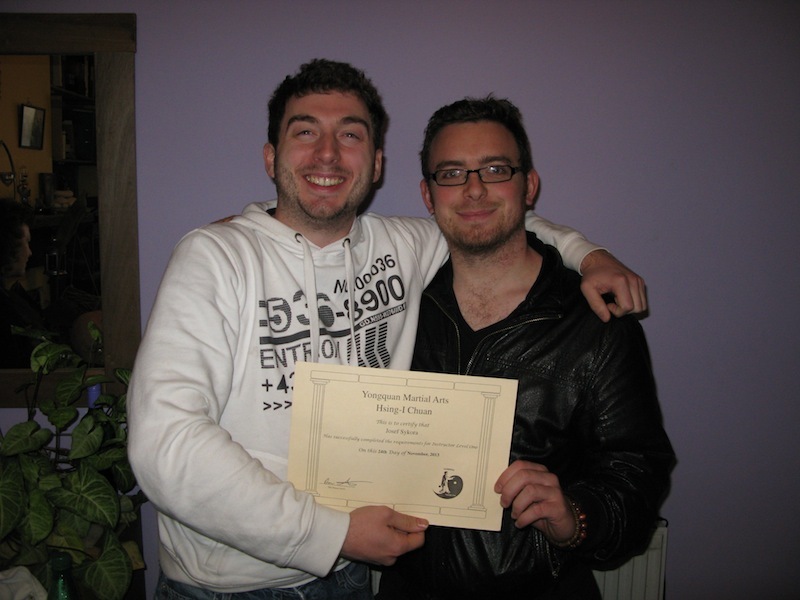 It's always pleasing to be able to confer teaching certificates on people but it's rare to be able to award level three certificates, these are the first two for quite a while. Well done. After this we moved on, briefly, to a local park to train for a while in a cold drizzle before moving on to the hall. During the rest of the day Sifu Robertson trained those who were interested in various aspects of Tai Chi Chuan, while Sifu Kerr and Sifu Smith worked with others on Hsing-I and Choy Lee Fut and also put some finesse on a combined form they have been working on, with a few suggestions from me. We rounded off the training with a session on self-defence technique, for a bit of light relief. After the training session we made our way to our usual (when in London) Chinese restaurant for a group meal. Fine food as always. Thanks to all those who managed to attend, I hope everyone gained something from the day.